It can be hard enough to stand up in front of a large group and speak, let alone relying solely on the words you have written to describe the love we see before us, what the couple mean to you, how good a best friend he is etc etc…all the while making sure the families are entertained and that they want to buy you a drink after the speech than throw one in your face. It’s tough work, so here’s 10 tips to nail the best man speech to cover all bases, get some laughs and maybe a few tears. I know, I know, this seems pretty straight forward but let’s think about it for a second. 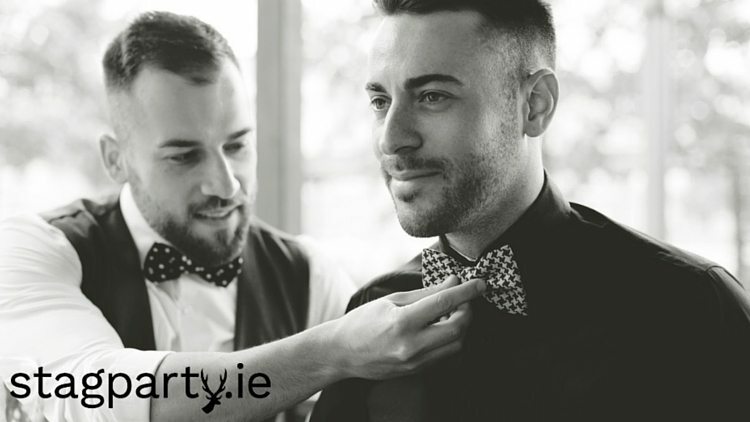 It’s an Irish wedding so the chances are the best man might be having a few drinks before the actual wedding with the groom…to emm…help with the nerves. He’ll probably have one at the reception to keep himself hydrated while he has to take the obligatory wedding photos. Then there’s the mingling before the meal and having one with the lads before sitting down to dinner which will have a bottle of wine on the table. So try not to go mad on the beer as you may all of a sudden dispatch with your cue cards and speech and try and come up with it of your head. This will only be drunk rambling and won’t sound as good in your head as it does out loud. There will be plenty of time to roast the groom good and proper but get the formalities out of the way first. Thank everyone for coming, celebrating the day, and reading any messages from friends abroad. Diving head first into mocking and an embarrassing story may leave people thinking you have a vendetta against the groom and probably shouldn’t have been the best man in the first place. Do not mention anything from the stag weekend that could land him in the doghouse just hours into his marriage. I like most Irishmen cursing is a big part of my vocabulary and we have a fantastic ability to drop in a curse word into a sentence that gives it a certain grace. But this is a time to really stay as tight lipped as possible. Certain families and especially parents aren’t to fond of certain words. I know it will be tough but it’s something to keep in mind. This is a tricky one as most people feel that when they tell a joke in a speech that they will come across as a stand up comedian. I’m here to say you don’t! Your jokes might not be that funny, so choose wisely and be so careful not go ridiculously inappropriate. This is key to any good best man speech. Humour keeps any the speech rolling along smoothly with a nice gentle hum of laughter. An idea would be to poke fun at some of the groom’s traits or his poor golf game, inability to dance, bad sense of direction, bad taste in music and similar. Avoid calling him a dumbass as his parents will probably be in the room and paid for his education. Also if any of his work colleagues are the may need to rethink any negative things you might be planning on saying about his work. My tip, always keep them smiling. Do not just give a token compliment to the bride. That’s almost worse than no compliments. Talk about the great attributes she has, that she’s kind, witty, beautiful and that she’s looking stunning on the day. Give this part of the speech some time and thought for your best friend if nothing else. You don’t want the bride to be giving out to him about the speech you did on the honeymoon. This is a major part of the best man speech. It really cements the reason for you being the best man in the first place. This is were you show your true bromance and just how much you cherish his friendship, how he’s been there for you and vice versa. Make it short sharp and to the point, a few lines about his great qualities and you’re done. You don’t want to make it awkward. This is the point in the speech where you just unload every wedding and happy couple cliché you were trying not to use earlier in the speech. Time to go proper Hallmark here with things like ‘there love is enduring’, ‘they’re perfect for each other’, ‘it was love at first sight’, ‘they’ve found their soul mate in each other’. Good god that was a bit hard to even write. The reality is that they might have met while drunk one night in a club, got the score, texted each other the following day, cinema or a date a few days later and that’s where it started. This is the sort of stuff you don’t say of course. Also avoid saying that they found the only person to put up with each others annoying habits and bad jokes. Alright just don’t go straight with “raise your glasses..”, get everyone to stand up, thank everyone for coming, congratulate the happy couple and wish the well into the future. Congrats you have just delivered a great speech. And don’t worry, if you’re still struggling for a best man speech, just take the one from Sherlock. 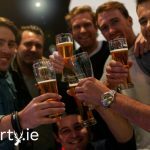 Finally, contact us today for more information on booking a fantastic Stag Party weekend!